has rapidly evolved over the years to become a leading multidisciplinary high-quality tertiary education provider. Botho University was one of the first local tertiary institutions in Botswana to be accredited by the Human Resources Development Council (HRDC). All programmes are approved by the Botswana Qualifications Authority (BQA) and the Council on Higher Education (CHE) in Lesotho. Botho University Courses Offered: Botho University currently offers programmes through six faculties namely Faculty of Business & Accounting, Faculty of Computing, Faculty of Engineering and Applied Sciences, Faculty of Health and Education, Faculty of Hospitality and Sustainable Tourism and Faculty of Graduate Studies and Research. Botho University also offers a diverse range of programmes for in-service professionals and organizations. Under the Corporate Training Department, there are over 200 short-term professional development programmes. Applicants are expected to have successfully completed secondary schooling. The typical entry requirement is BGCSE or IGCSE (in Botswana), LGCSE (in Lesotho) or other equivalent secondary school qualification. BGCSE or IGCSE (in Botswana), LGCSE (in Lesotho) candidates should have passed in a minimum of five BGCSE, LGCSE or equivalent subjects including English and Mathematics with a minimum of a C in Mathematics. The admission point system is used to measure your academic achievement based on your school-leaving results. 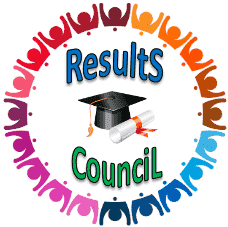 Your school-leaving subject grades or percentages are converted into points as per the table (see Table 1) and based on your qualification. These points are added up to arrive at the number of points you have obtained. Before applying to Botho University, students are encouraged to take time out to familiarise themselves with all the programmes on offer. Applicants must meet all the relevant minimum requirements for the programme of study they wish to study. It is also important for applicants to assess whether the programme they choose interests them and that they want to make a career out of it. All students can apply in person or using our online application form available on our website. Please read the “Steps to Apply” document available on our application portal before applying. • Clear certified copies of all relevant educational certificates. • Clear certified copies of Omang/passport/identity card. • Please read our Fee Structure and Policy document available on our website before applying. Botho University aspires to be the regional hub of academic excellence. In this regard, the University has started attracting students beyond Botswana borders from countries such as Zimbabwe, Zambia, Lesotho, Swaziland, Liberia, Namibia etc. 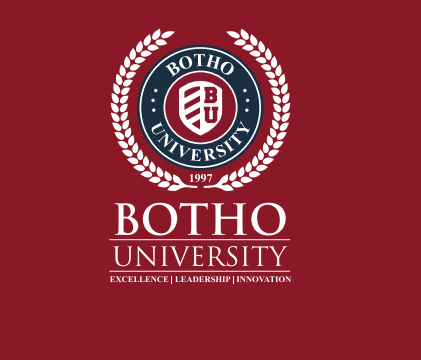 International students can apply online by visiting the Botho University website (www.bothouniversity. study, applicants will have to meet the admission criteria as specified in this programmes booklet. In case the applicant’s country’s qualifications framework is not catered for in the admissions criteria, please contact the International Development Department for assistance. Find out more about how you as an international student can study at Botho University, Botswana. All Botho University programmes follow a credit based tuition fee structure. Every programme consists of modules worth a specific number of credits. The number of credits for any module is available on www.bothouniversity.com under each programme. 60 credits per semester is normal full time load. A student who wishes to take more than 60 credits in a semester requires special permission from the Dean. The tuition fee for a module is thus obtained by multiplying the module credits by the fee per credit (for e.g:- if the module is 10 credits the fees payable per module for an Undergraduate programme will be 10 x 200 = P2000.00). The tuition fee for a programme can thus be obtained by adding the fees for all the modules, calculated as explained earlier.